Sorry to pile on the bad news, but it's bad out there in quant land. Tykhe Capital, which runs a number of statistical arbitrage and quantitative long/short funds, has reported that as of August 9th, 2007, some of their quant funds were down as much as 31% just in August alone. This follows on the heels of July's losses, which ranged from 4% - 7.9% depending on the fund. It should be interesting to see what kind of redemption activity there is in some of the Tykhe funds, especially considering the fact that they haven't chosen to suspend redemptions. Will investors ride out the storm or pull their money which has been given as much as a 38% haircut in the last month and a half? Whatever happens, Tykhe and many other quant funds are going to have a hard time re-establishing credibility with their clients. Quant funds are supposed to be market neutral and eliminate much of the risk, but they have been getting absolutely taken apart in recent weeks. 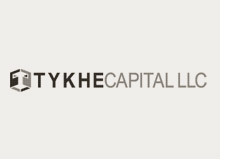 Tykhe Capital has taken the step of slashing its market exposure and reducing its leverage to 1x down from 4x. Reducing market exposure creates even more downside for these funds, as this forced liquidation causes even more turmoil in the markets and the computerized models on which these funds are based just can't cope. The amount of bloodshed rivals when LTCM collapsed, and I am very interested to see how this week plays out on the stock markets.